After you have purchased WP-Lister Pro you will receive an confirmation email which contains your license and a link to download the plugin as a zip file. Download the zip file to your computer. Open your WordPress admin dashboard and click on Plugin » Add New. Then click on the “Upload” tab. Click on “Browse”, select the zip file and click on “Install Now”. Well done, you have installed WP-Lister – now you’re ready to continue with the first time setup. 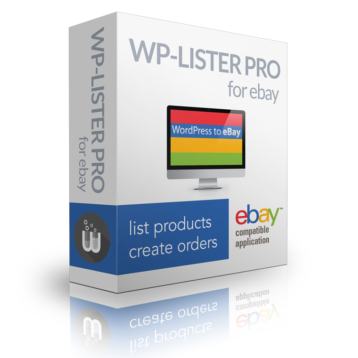 If you are using the free version of WP-Lister for eBay, you need to deactivate the free version before activating WP-Lister Pro – or activating the plugin will fail. Of course, all your settings, listings, profiles and templates will remain unchanged. 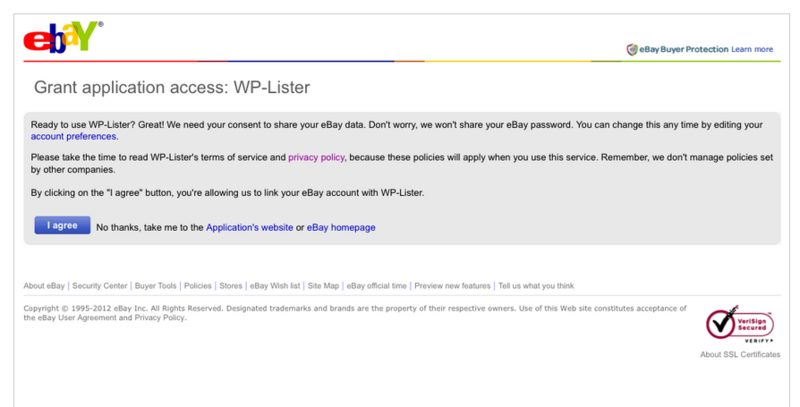 After you uploaded and activated WP-Lister, you will see a message at the top of each WP-Lister page, which tells you go to Settings and connect WP-Lister with your eBay account. Click on “Settings” to start the setup process. 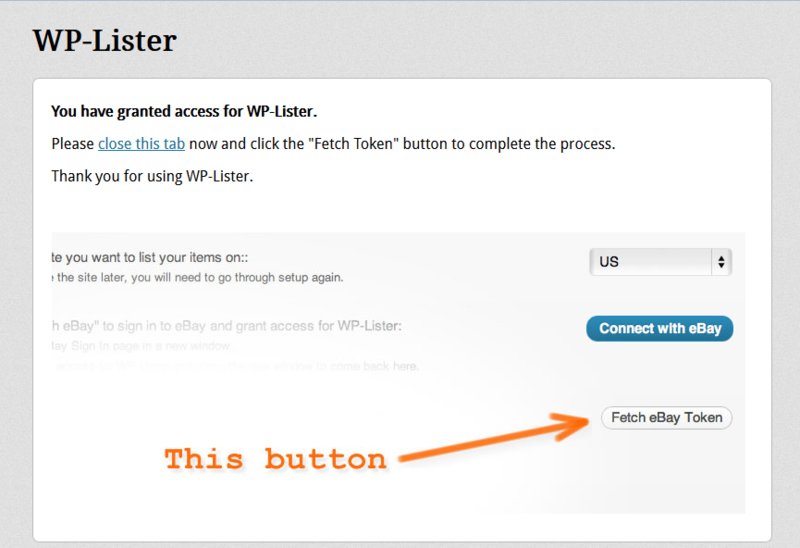 Click “I agree” and you should see a message that you have granted access for WP-Lister. 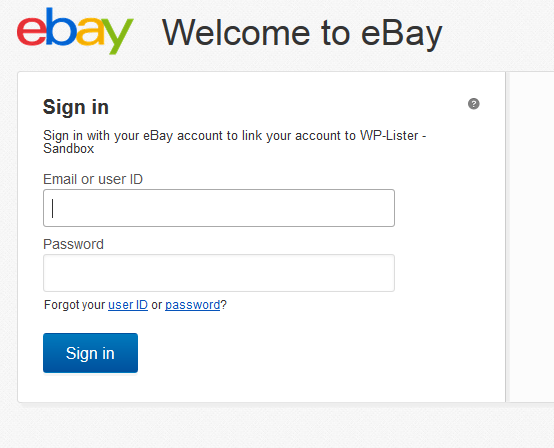 Great, you have now successfully connected WP-Lister to your eBay account. Now WP-Lister needs to fetch categories, shipping methods, payment options and other site specific data from the eBay site you selected. It might take a few minutes to finish the download. Very good! Now WP-Lister knows everything it needs to know when we’re going to create a listing profile in step 4. But before we can do that, we need to create a listing template first. In the help box you can find all available shortcodes that can be used in listing templates. Click “Save template” when you’re done. Now take a deep breath and click on “New Profile”, which will take you to one of the most important and most complex pages within WP-Lister – the profile editor. Each profile option features its own inline documentation in form of tooltips. Move your mouse over the little help symbol next to an option and you’ll see a detailed explanation for that option. 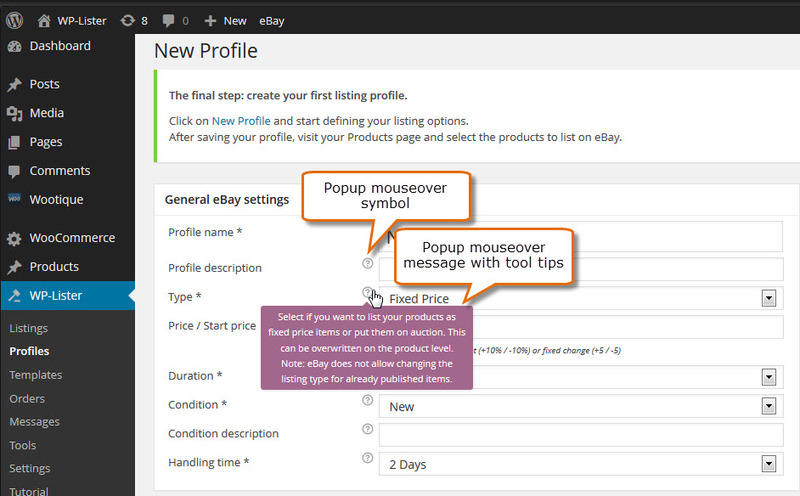 These tooltips will guide you while you customize your profile. But don’t be overwhelmed by the great number of profile options – you don’t need to understand each and every option to create your first profile. And once you created a profile that works for you, you can easily duplicate it in the future. Leave the other options on default for now and click “Save Profile” when you’re done. Please make sure you have enabled stock management in WooCommerce » Settings » Products » Intentory. eBay requires each listing to have a valid stock quantity set, so WP-Lister won’t work properly with products that are “in stock” in WooCommerce but have no actual stock quantity defined. Note: To learn more about listing profiles see the listing profiles section in the documentation. Congratulations! You’re done installing WP-Lister! 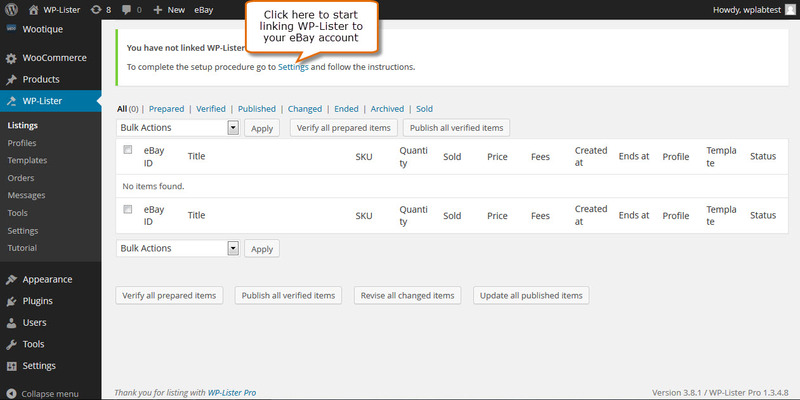 To get started an list your first product on eBay, please continue to Listing Items on eBay.